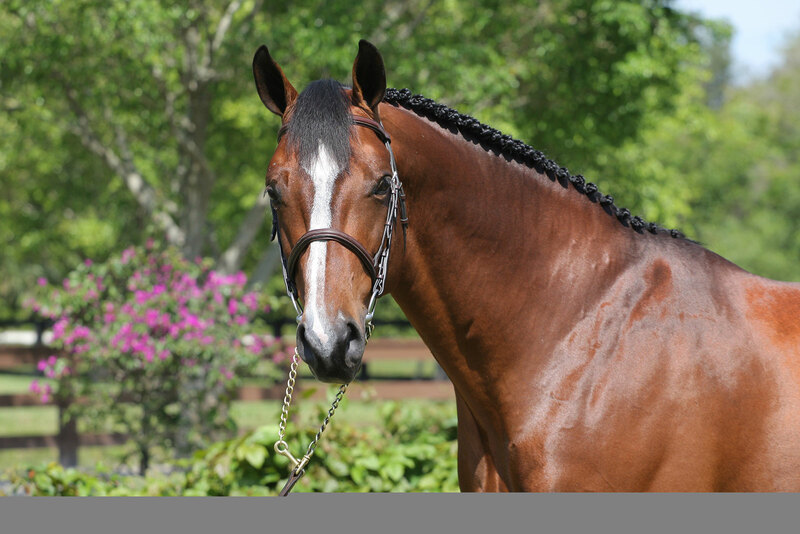 Chin Quidam VDL was bought as a six year old from VDL Stud in Holland, he has been carefully educated in the American system with thought taken in the methodical progression of his career. To date Chin Quidam has impressed us all with his power, technique and aptitude in the competition arena. 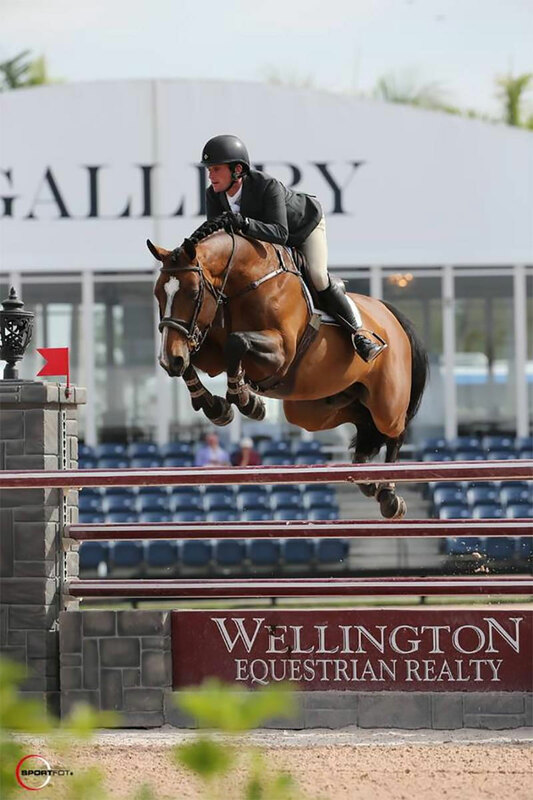 In 2014, Chin Quidam has truly stood out amongst his peers by beginning his season with several top 10 finishes at WEF in the 1.30m to 1.40m divisions with Irishman Darragh Kenny. Summer has been exceptionally productive with several wins in Spruce Meadows in the 1.40-1.45m divisions. With these superb results Team Hyperion found themselves packing up for Europe sooner than expected to join Darragh Kenny in Aachen, Germany. This prestigious event brought Chin Quidam up against some of the best 8 year olds in the world. With his powerhouse pedigree stacked up underneath him and Darragh Kenny in the irons, the pair blew away the competition by winning the Youngster Cup Qualifier as well as the Youngster Finale in Aachen. An astounding result for the horse, the rider and Team Hyperion! Chin Quidam is an exceptional example of the sire and dams of his pedigree. Sire, Chin Chin has had an enormous influence on the Dutch breeding in the modern day. His sport career was astounding! He competed at two Olympic Games ( Seoul & Barcelona) for Team Mexico, twice at the World Equestrian Games and numerous World Cup competitions. 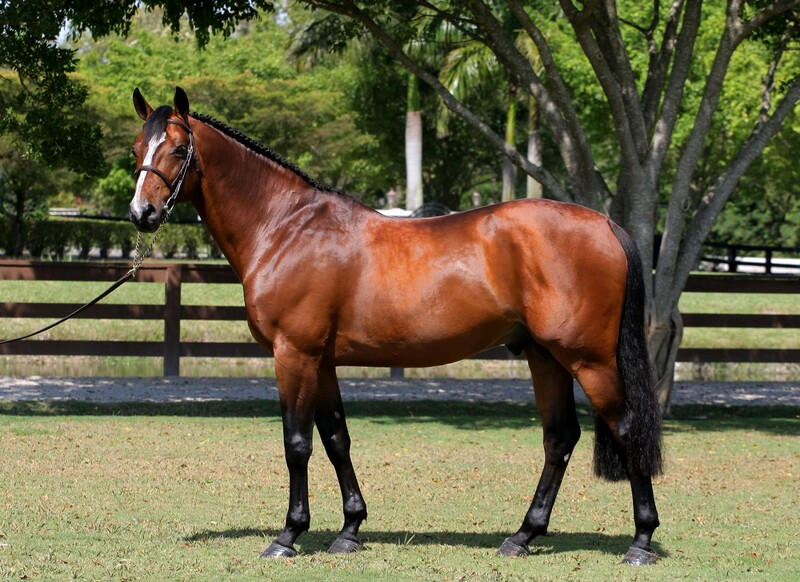 He has sired several approved stallions such as Zapatero VDL, Triomphe de Muze and Chin Quidam VDL. 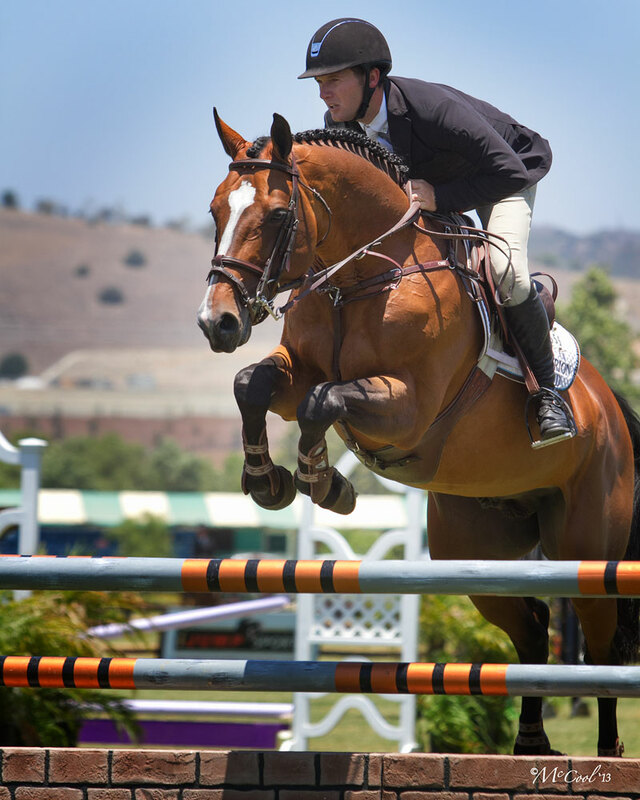 Dam sire, Quidam de Revel, was a superior jumping athlete who competed in the Barcelona Olympics winning a team bronze and finishing fourth individually with French rider, Herve Godignon. 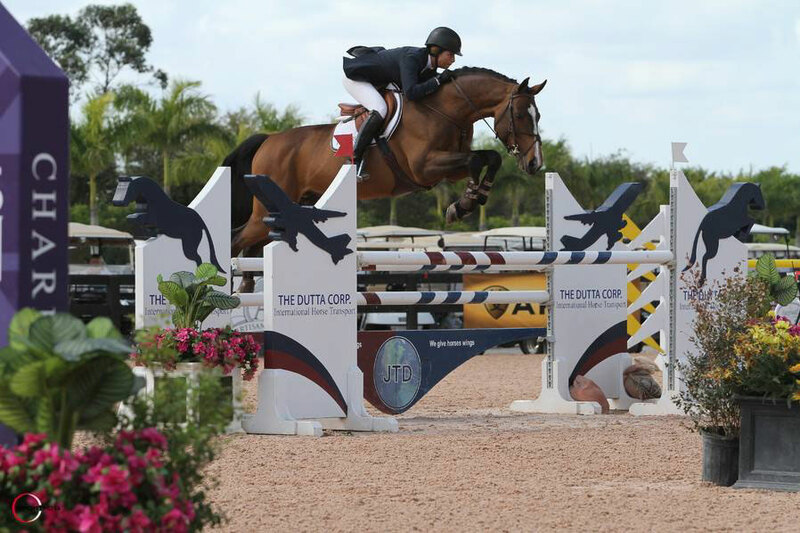 The pair won several Grand Prix and competed on a slew of Nations Cup squads. Quidam de Revel was ranked #1 for two years in a row in the World Breeding rankings for jumper stallions. He his sire to over 189 approved sons including Quite Easy, Quite Capitol, VDL Groep Verdi and Nabab de Reve. His offspring continue to compete at the top of the sport to this day. 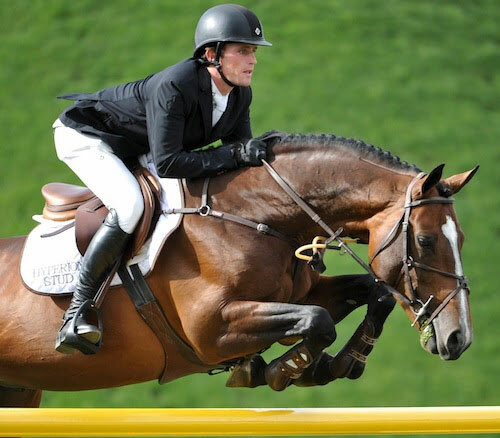 Chin’s most notable career highlights in 2014 include winning the 1.40m during week 11 at WEF , winning 3 classes in Spruce Meadows , winning the Sparkassen Youngster Cup Qualifier and Finale in Aachen, Germany, 2 wins in the 8 yr old youngster classes in Dublin, 2nd in the Finale of Dublin, and winner of the 1.50m Grand Prix in Ommen. 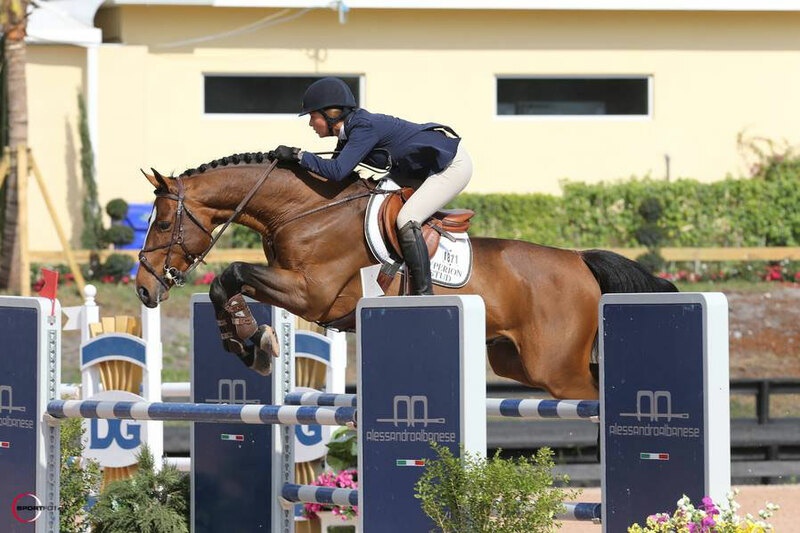 Chin Quidam VDL is an exceptional stallion with great appeal to a wide range of breeders. His best qualities include his efficient scope, quick reflexes, fearlessness and easy temperament. Chin Quidam VDL was approved by AHHA receiving 50 Bonit points.